Brownies, everybody’s favorite, should be prepared in big batches. These brownies are moist, studded with walnuts, require no frosting, and are quick to stir up. 1. Cream shortening, butter or margarine with sugar until well blended. 2. Add the cocoa and mix until smooth. 3. Add eggs and mix until fluffy. 4. Stir in baking powder and salt. 5. Add water alternately with flour and whip until fluffy. 7. Turn into a greased, waxed paper-lined jelly roll pan, 15 1/2-by-10 1/2-by-1-inch. 8. Bake at 350°F for 30 min. or until brownies feel firm when touched on top. 9. Cut into 1 1/2 inch squares. 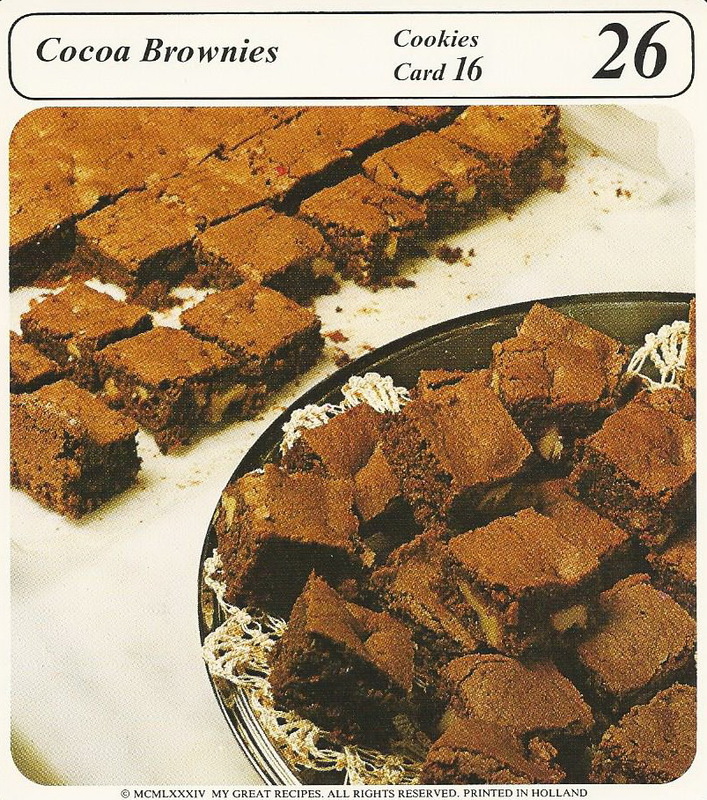 Tips: These moist brownies keep very well when wrapped and stored in the freezer, refrigerator or in an airtight tin.